The original inn has been restored and new buildings sympathetically created around it on the footprint of the former farm complex. This has created the new visitor facility including a restaurant, shop and conference facilities, also interpretation areas to learn about the gardens and the experience of the 18th century visitor. Built by ISG: InteriorExterior PLC for the National Trust. A contemporary house designed to provide a spacious naturally lit home linking the inside to the outside. 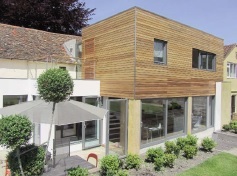 Timber, copper, masonry tiles and expanses of glass are sensitively used to achieve a harmonious modern design. 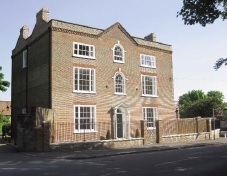 A Grade II listed property in the conservation area which has been sensitively restored from its previous use as a youth hostel. A modern extension has been replaced with a new single storey extension designed to complement the Georgian building. A traditionally styled house for a three generation family which takes full advantage of long reaching views and is designed with energy and water saving features. A careful restoration of an 18th century timber framed barn to provide a modern family home whilst maintaining its original appearance and materials together with energy and eco-friendly design. 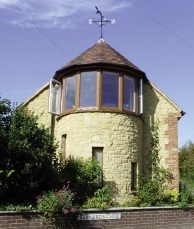 A turreted extension to a stone building in the conservation area. 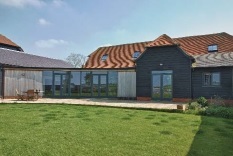 The extension gives extra space with panoramic views and is a new landmark within the village. 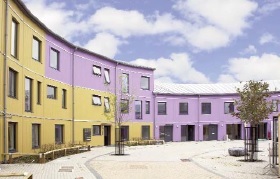 A modern housing development in the form of a sinuous terraced faceted building. This new community provides 94 homes varying in size and tenure to suit a variety of housing needs.